Iconic logo inspires sneakerhead's costume. For Halloween, we're asking you, members of the Sole Collector community, to show us your best sneaker-related costumes. Submissions have been slowly rolling in, and it didn't take long for us to come across one of the best costumes we've ever seen. 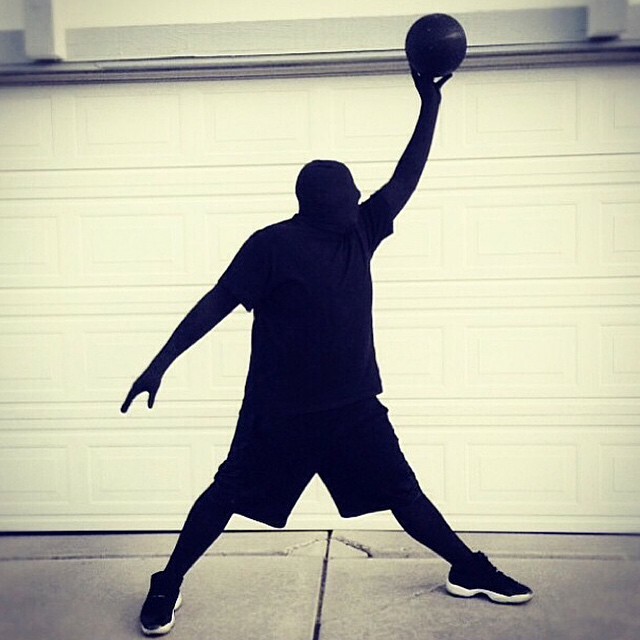 This clever getup is straight from the imagination of @airtwo3jrdn, who transformed himself into the Jumpman. No, not Michael Jordan — the actual silhouette that has marked every Air Jordan since the release of the III in 1988. The all-black ensemble is capped off with the 'Space Jam' Air Jordan 11, which, even with a little bit of white, is the perfect sneaker to finish this legendary costume. Has sneaker culture inspired your costume for tonight? Share your look with us in the comment section or on Twitter and Instagram with the hash tag #SoleHalloween to be featured in a special WDYWT spotlight.